What is holding you back from writing? If you are one of those people, who has always wanted to write but has never written anything you are not alone. For years, decades, I wanted to write, thought about writing, read what others wrote, but never actually put any words down on paper. Maybe you are like that. I had a family member who always wanted to write a book. He passed away with that book still unwritten. I decided that wouldn’t happen to me. I hope if you’re one of those people who has always wanted to write you won’t be one of those people who wanted to write but never did. In this and some future blog posts, I’d like to share with you my writing journey and some suggestions if you decide to embark on a writing journey of your own. Forgive me for being a bit philosophical, to begin with. What it means to write has changed in this millennium. What it means to write has changed dramatically over time, so has who was allowed to write. Writing has evolved from a purely utilitarian purpose to something much more expressive. Writing was once used largely by people in business, keeping track of money and goods. Today we call this accounting. Writings other use was for recording religious and philosophical texts. When education was limited to the few, the rich and powerful and those that served them, there were relatively few written materials and equally few who could read them. Universal education is a relatively recent idea. There are still people in the United States who are illiterate, can’t read and write. Many of these people are in prisons, but that’s a topic for a different blog post. Over the last 100 years or so literacy has become widespread. The result of this increase in literacy has been the transformation of literature from a mystical activity understood only by relative few, into an activity done by many simply for the pleasure of it. Rules about writing keep changing. If you read the writings from the 1600’s and 1700’s you will find a great deal of variation in the way they spelled words and punctuated sentence. Over the next 200 years, the rules of spelling and grammar became more fixed. Definitions of words became codified in the books we now call dictionaries. Rather than being the final authorities on words, dictionaries reflect the way words are being used, and the dictionaries keep changing. With more rules about how one should write, writing, at least writing for others to read, became more rule-bound. Writers had to submit their books to publishers who decided what was worthy of being called literature. The process of writing and publishing a book excluded a lot of people who may have had good ideas or interesting stories to tell but were unable to get their writing approved by someone else. If you struggled in school with spelling and grammar, writing something for another person to read may have been a traumatic experience. Having someone read what you wrote who completely ignored the ideas you expressed and picked out only the misspelled words and the missing commas, may have deterred you from ever expressing yourself against. Technology has changed what it means to write. Since the advent of computers, it has become much easier to put your words into a form that is easily understood. Computers can check your spelling, find grammatical errors and even help you improve your writing. The process of seeing your errors highlighted in various colors can be extremely helpful in improving skills. Speech to text programs has obliterated the line between the disciplines of public speaking and writing. A major portion of what used to be communicated by writing is now communicated through video. Expressing your ideas is more possible now than ever. Technology has spawned many new ways of communicating ideas. E-books allowed many more people to write and publish books. Books that would not have been accepted by a publisher can be self-published and reach a worldwide audience. Blogs have replaced people traveling the world delivering speeches by allowing ideas to be published once and then read by people all over planet Earth in various places at various times. Blog posts I wrote five years or more ago continue to be read today. If you’ve ever wanted to write now is the time. In upcoming posts, I’d like to share with you my journey of learning to write, creating the counselorssoapbox.com blog, writing and publishing two books, with more to come. I won’t pretend I have all the answers, but I’d like to share what I have learned. If you would like to take a similar journey, I will try to be your tour guide. If you have questions, please send them along. Thanks for reading. 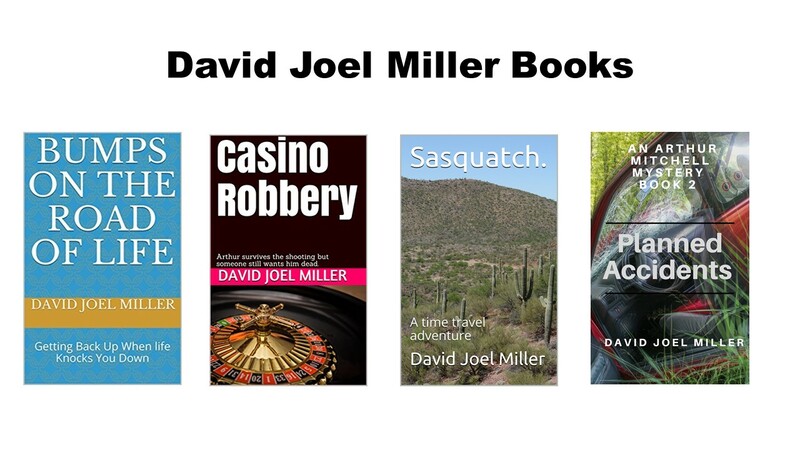 This entry was posted in Writing and tagged blogging, counselorssoapbox.com blog, David Joel Miller writer, publishing a book, starting a blog, Writing, writing a novel by David Joel Miller. Bookmark the permalink. In a sense, I believe that’s true. I think it’s also true that Gutenberg’s invention of the printing press resulted in books being much cheaper and led to widespread literacy. More literacy has resulted in a significant increase in the demand for books. Thanks for your comment.